This is a guest post by Richard Boase. A Bitcoin millionaire from Monaco who recently posted a bounty on Reddit for $100,000 for a proposal that could replace the Bitcoin Foundation has announced Mike Hearn’s Lighthouse initiative as the winner of $40,000, with a further $50,000 pledged to any developers who put significant work into the development of the protocol itself on the Lighthouse platform. Janssen has also offered the remaining $10,000 as a runner’s-up prize to Casey Kuhlman and Dennis McKinnon for their Project Douglas/ERIS platform, the first legally structured DAO which runs on the Ethereum test-net. Janssen’s bounty was originally conceived as a way of funding a platform that could effectively replace the foundation’s role of paying Bitcoin core developers, an issue which has been hotly debated since the formation of the foundation in 2012. Janssen posted a reddit post in June asking: ‘why do we need a Bitcoin Foundation in the first place? …the main thing they are doing right now is funding some of the core Bitcoin developers…[but] there is no real initiative to fund the developers directly. As a result, the developers are underfunded, because the Bitcoin Foundation does not have that much money […] We also don’t know how much they are paying the developers and how much money they have left, since their transparency is pretty much non-existent. The funding could stop at any time and endanger Bitcoin even more. As such, and to guarantee the (political) independence of the developers, the community should start funding the developers directly.” Which is precisely what Hearn’s lighthouse initiative aims to do. Hearn has been extremely vocal about this fact in recent weeks, arguing on the Bitcoin Foundation blog that ‘underfunding is leaving Bitcoin development in a state of crisis,’ going into detail in his interview with Brian Crain on Epicenter Bitcoin last week where he explained how Lighthouse would effectively act as a platform where anyone would be free to suggest an update or improvement to the protocol, and offer a bounty for a successful implementation. His talk on the subject at Bitcoin 2014 was covered in Coindesk here and his Epicentre interview was covered again here. Janssen’s motivation for posting the bounty was politically motivated, reasoning that he felt the Bitcoin Foundation was “re-creating the same archaic political system that fails to work for society”, and criticising the foundation as ‘a non-transparent, political and secretive elite… [who are] creating even more political structures inside, such as committees, which can only be accessed by knowing the right people”. He goes on to say that, by their own admission, they cannot continue to keep funding the core developers forever with the membership model they have; and he’s also adamant that the Bitcoin community doesn’t need celebrities to decide what’s good for the community, believing instead that the developer community must stop getting distracted by internal politics and start focusing on funding the core development as a matter of urgency. At the Amsterdam Bitcoin 2014 conference this year, Gavin Andresen in his keynote speech alluded to the fact that proposals to changes in the Bitcoin core protocol had become overly contentious, saying: “I hope someone will come up with a way of solving ‘the troll problem’, a problem Hearn seems to have addressed admirably. For those unfamiliar with ‘the troll problem’ it’s perhaps best exemplified by this post on Reddit.com seven months ago in which jdillonbtc accused Hearn of ‘secretly pushing black lists’; an idea that would conceivably destroy the fungibility of bitcoins and creating a two-tier system of miners. One which accepted transactions with stolen bitcoins and one which wouldn’t, a measure that could ultimately undermine the value of the entire Bitcoin economy, and though the term ‘black-listing’ was later dropped and replaced with the term ‘red listing’ Hearn himself admits that in retrospect it was a bad idea, and he caught a lot of heat for it. 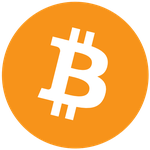 However, at the time the general consensus from most right-thinking bitcoiners was that Hearn was simply tabling a point of discussion, rather than actively pursuing an agenda that would ‘destroy Bitcoin’, and Andresen’s point in his keynote address was simply that Bitcoin core development needs a forum in which both radical and original ideas and solutions can be suggested without fear of reprisal or recrimination from the knee-jerk revolutionaries of the Bitcoin fringe. But does Hearn’s lighthouse initiative also address the issuing of lobbying? Janssen thinks it can: “I am thinking of a system where prominent people can voice their opinion, where people can propose projects, and where the core devs can actively show their roadmap with detailed features + costs, and where we can vote on the features being implemented by sending bitcoins towards the feature of our choice. This will allow the core dev team to expand by being able to add/pay more devs for feature requests which are fully funded. Maybe we can even evolve to a system later where anyone can work on a feature, which, when programmed properly (approved by the core team), will receive the bounty. The same applies to lobbyists, we just send bitcoins towards the one that we consider the most competent for the job. This will allow Bitcoin to grow and expand at a rate it deserves, a rate that a political organisation such as the foundation can never accomplish.